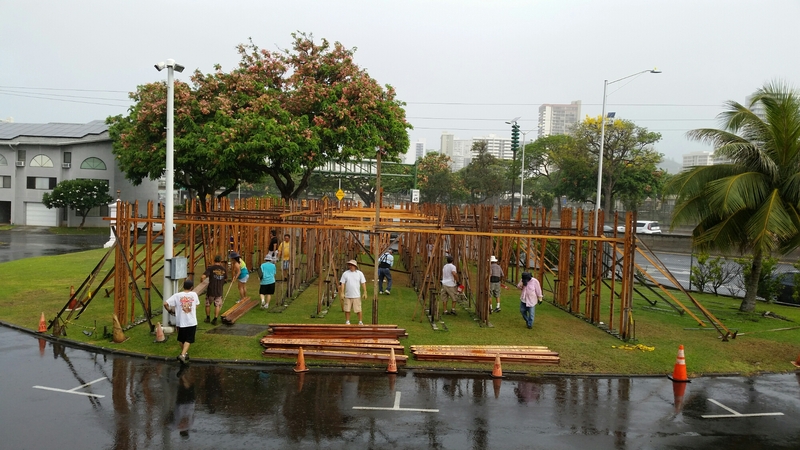 This morning, Sunday July 3, 2016 from 8 AM, we put up the Otoba for Jodo Shu Hawaii’s 2016 Obon services to honor our ancestors in Honolulu, Hawaii. From 10 AM to 11:15 AM, my business partners Lucy Liao, Zhang Xun and I will greet an immigration lawyer at a Chinese restaurant, who is based in New York City and was famous for helping the protesters of the 1989 Tiananmen Square incident to immigrate to the United States, even spending time in prison for such work. After my meeting, I have to chair the Jodo Shu Hawaii board meeting as its President from 11:45 AM.